There is an important date circled in red on your calendar. Or there would be if you had an actual paper calendar and circled things. Behold the decrepit splendor of La Cuevita, an out-of-the-way Mexican hideaway from the owner of Thirsty Crow and Oldfield’s, soft-opening Monday. 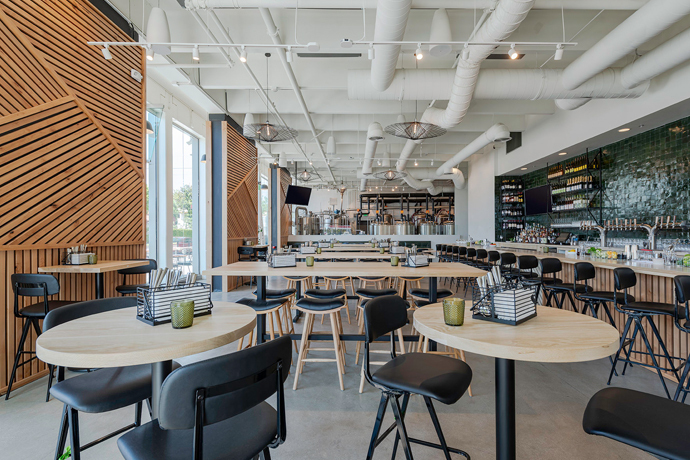 The three-sided bar curves out amiably to meet you, and you wouldn’t want to be rude—step up amid the open beams and leather stools to order a couple of signature La Cuevitas, made with mezcal, elderflower and ginger beer. And if it’s a warm night and you’re in the aforementioned discreet-date situation, you’ll head through the pair of old wood doors to a little bench under some strung-up lights and flags and sky. Your general mood lighting of choice.